There’s something about Spain that immediately captures the imagination. Perhaps it’s the food—tapas served up delicious and cheap, ceviche like you’ve never tasted before and, of course, plenty of local wine. Perhaps it’s the language—elegant and passionate and almost poetic sounding no matter what people are actually saying. Or perhaps it’s the ambitiously elegant architecture—the rising spires of churches, the oddities of Gaudi’s work the Moorish castles overlooking the sea. 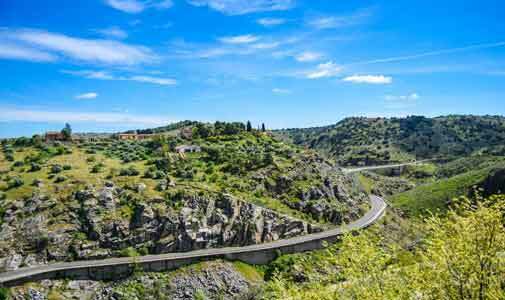 Whatever it is, Spain is high up on a lot of people’s bucket lists—both as a holiday destination and a place to settle down and retire with plenty of sunshine, good food and low cost of living. 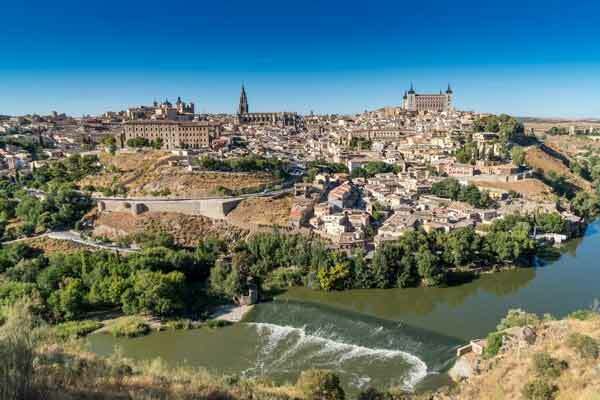 If cobblestone streets and walled cities make your heart beat faster, Toledo is your place. Set on a hill almost entirely surrounded by a winding river, this Medieval city is a maze of cute alleys full of restaurants and shops, spacious squares dominated by churches and cute apartments tucked away above the shopping streets. If you’re a hiker, make time to wander the portion of the Don Quixote trail that passes by the city. About 20 minutes up the hill outside town on the trail, you’ll come to a viewpoint with breathtaking vistas of the city, especially at sunset. You’ll find lots of locals here in the early evening, snuggling their sweethearts as they sit on the wall and watch the sun set. Tucked up in the mountains of Southern Spain, this whitewashed town is a warren of cute cobbled alleyways, brick steps and streets lined with flowerpots at every turn. Expect sweeping mountain views, sunny squares and lemon trees along the lanes. The town frequently makes it onto “most beautiful places in Spain” lists and it’s only a short drive from the coast, so you can get your mountain fix here in Frigiliana and then head down to popular Nerja for sun, surf and beachfront dining or Malaga for Moorish fortresses overlooking the sea and lively nightlife. 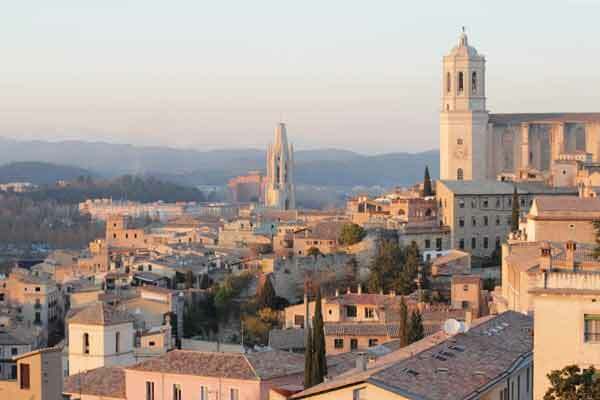 Drive about an hour and a half north of Barcelona and you’ll find yourself in old Girona, where black metal street lamps light the narrow cobblestone corridors and lush, green mountains rise in the distance. For excellent views, walk the Medieval city walls, with their rough white and red stones. If you’re a Game of Thrones fan, wander the narrow alleys of the Jewish Quarter, a major filming location for the show. And if you’re a foodie, don’t miss out on the pa amb tomaquet—tomato, garlic and olive oil on toast—and calcots—a special kind of grilled onion that you’ll only find in this region and only in the winter. 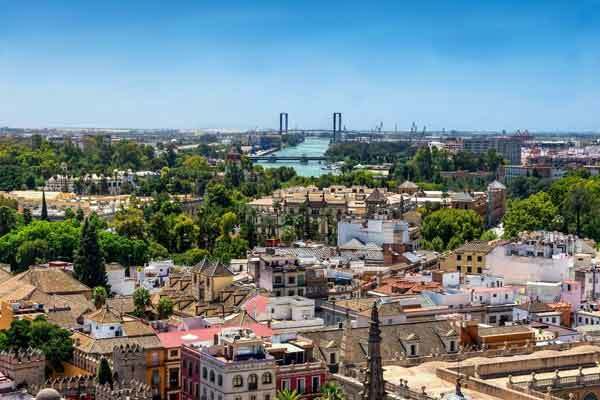 If delicate architecture, castles, and flamenco dancing sound fabulously exotic, head to Seville—Spain’s sunniest city and home of the Alcazar Castle complex. Stay overnight in a restored 17th-century palacio. Attend a flamenco show. Visit Seville Cathedral, the world’s largest cathedral. And don’t miss the city’s many tapas bars, like Catalina Casa de Comidas. For a more unusual experience, make your way to the 13th-century convent for a special candy called yemas de San Leandro. 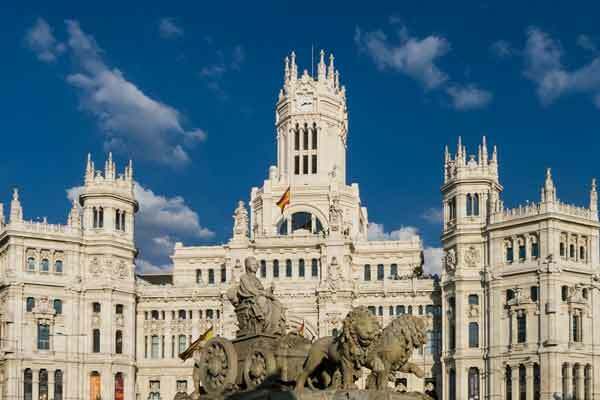 For museums, galleries, and classic Spanish architecture, make your way to Madrid—Spain’s enormous, elegant capital (and just 20 minutes by train from charming Toledo). The city is known for its world-class art collections and pretty boulevards and you’ll find plenty of famous art as well as intriguing collections like the historic weaponry at the Royal Palace and Armory. Don’t miss Parque de El Retiro—a sprawling 19th-century park full of fountains, statues, boating opportunities, and happy locals—or Casa de Campo (which is five times bigger than New York’s famous Central Park). For shopping, head to the popular tourist thoroughfare Gran Via. And when it’s time to dine, you’ll be happy to know that Madrid now boasts 17 restaurants with Michelin stars.